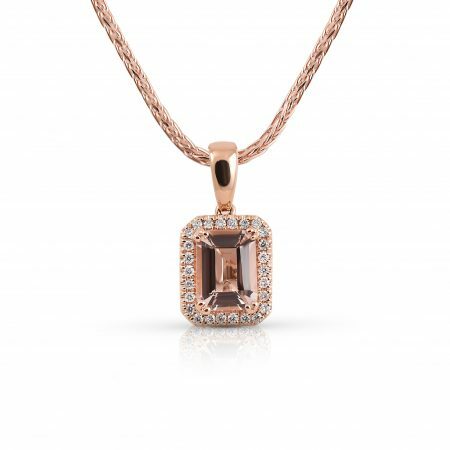 An 18K rose gold morganite and diamond baguette cut pendant. Centrally four claw set with a 1.20ct baguette cut morganite, surrounded by 26 round brilliant cut diamonds. View our morganite collection here.